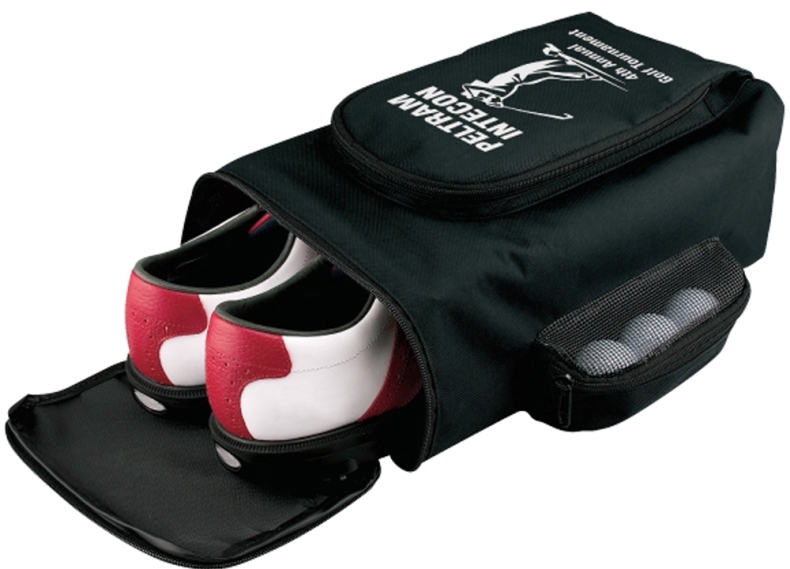 Show your logo at the next golf tournament on the promotional shoe bag for corporate gifts, giveaways. compartment for golf glove and accessories, side zippered ball mesh pocket and web carry handle. Overall size of the shoe bag is 12 1/2" L x 7 3/8" w x 5 1/4" h. Bulk packed in carton. Price includes a one color imprint on the top area 3" w x 7" h.
The factory setup charge is $50.00.